About Trivical Performance Academy, Cheltenham with 3 fully equipped dance studios (one complete with stage & lighting), offers classes for all ages and standards in Hip Hop, Jazz, Technique, Singing, Tap & Drum Lessons. Trivical was created over 17 years ago, when director Leanne Le Page realized that like her, not every one wanted to be a ballerina! 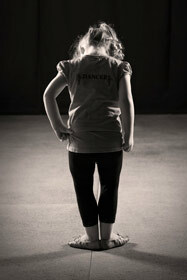 Most students want to dance and have fun, improving and becoming the best they can be! She wanted to develop an environment where everyone felt comfortable to express themselves creatively, in whatever style that might be. She knew that the staff would play an essential role in creating this dream. So all staff have been carefully selected for not only the strong dance skills they can pass on, but because as individuals they are positive �role models� for their students. All staff have a current first aid qualification as well as a "Working with Children" Police check. Every student is given the same opportunities and with options for affordable, quality training no one has to miss out on the joy that dance can bring. Click on the menu above to find out more about Trivical Performance Academy. If you have any questions about any services or classes offered by Trivical Performance Academy please don't hesitate to call us or click on our email details to contact us.